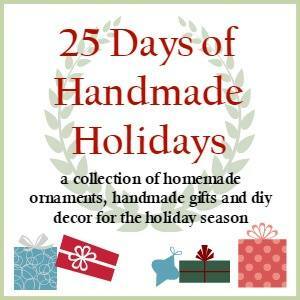 I love giving handmade gifts during the holiday season, and I’ve teamed up with a group of bloggers to share 25 Days of Handmade Gifts. 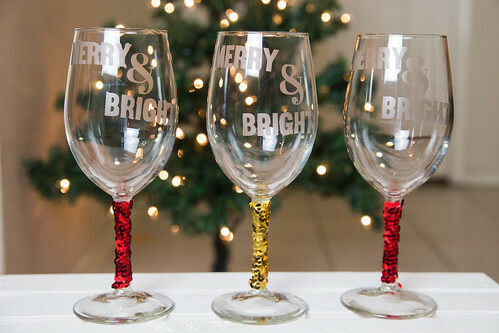 For my project, I made these DIY Christmas Wine Glasses. They were surprisingly easy to make, thanks to my Silhouette Portrait machine. Don’t have a Silhouette? No worries! You can achieve the same effect using stencils. 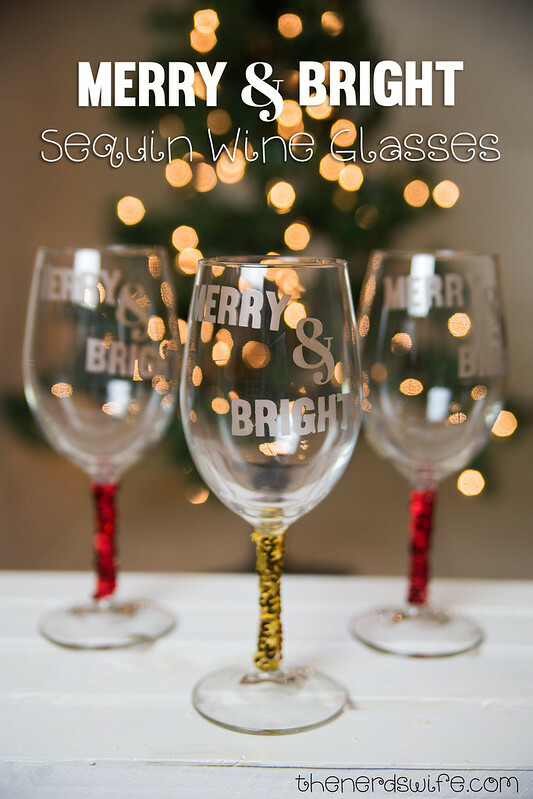 Set up your design in the Silhouette Design Studio, and cut it out from the vinyl using the Silhouette machine. 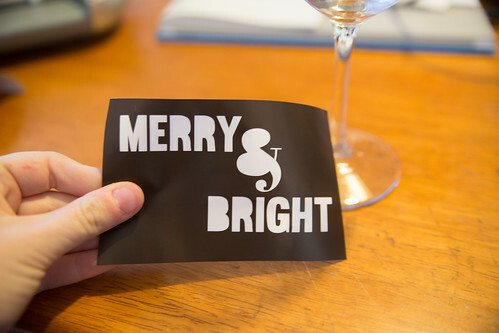 Remove the letters from your design so that it’s an outline. Make sure to keep the inner pieces of each letter. 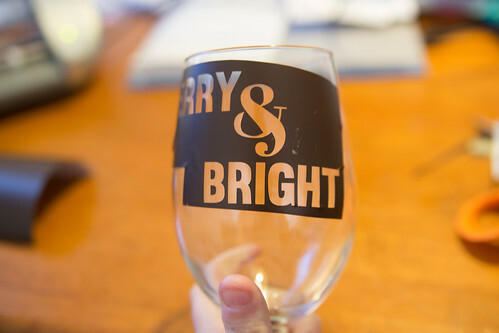 Apply the vinyl cut out to a wine glass. 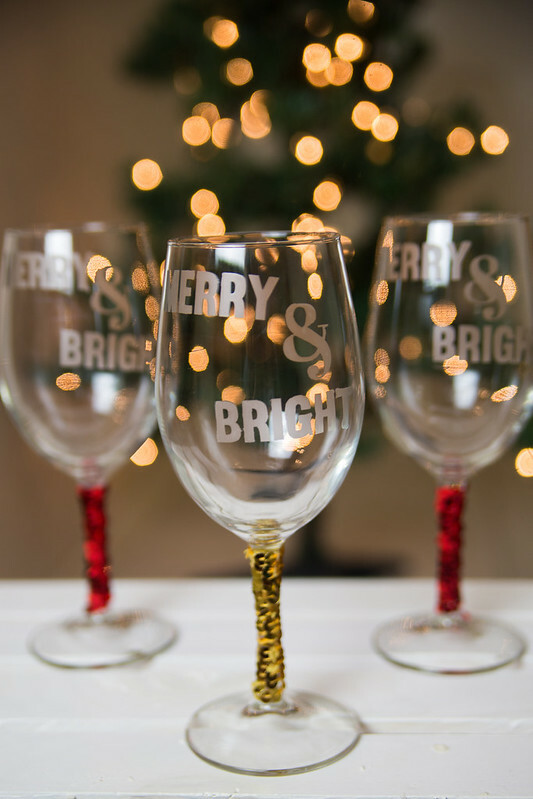 Make sure to smooth out any air bubbles so that your design with have crisp edges. 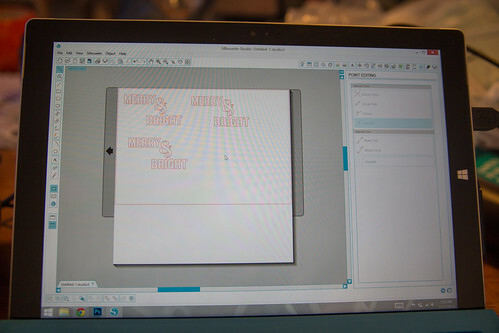 Use the paint brush to dab the etching cream onto your cut-out design. You want to make sure to apply it evenly. 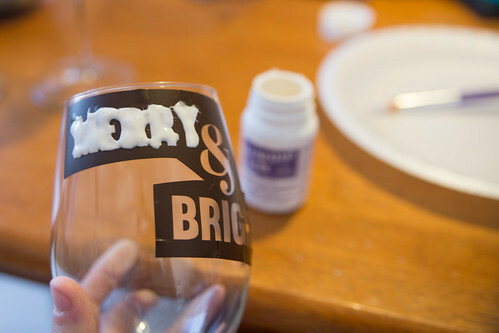 Let it sit for 30-45 minutes, then rinse away the cream and dry the glasses. 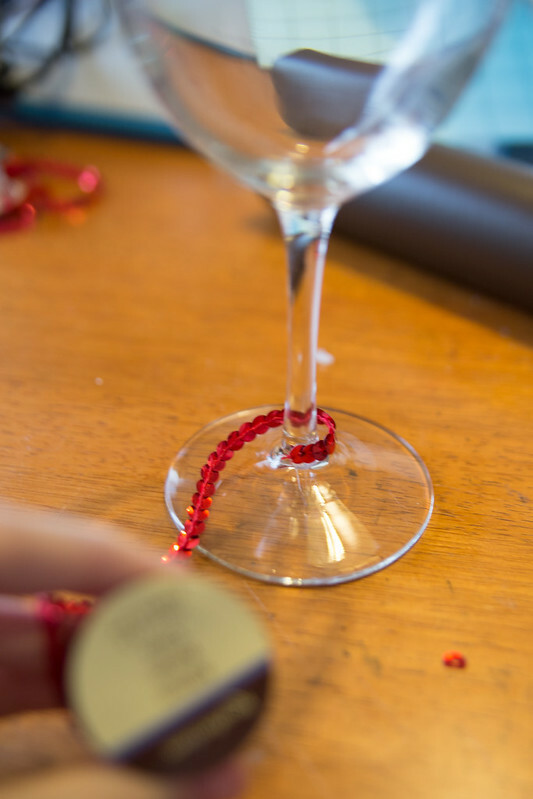 Use the hot glue to attach the sequin ribbon onto the stem of the wine glass. Wrap it around and layer it to completely cover the stem. Attach the end with hot glue. Disclosure: I received a complimentary Silhouette Portrait machine and products. 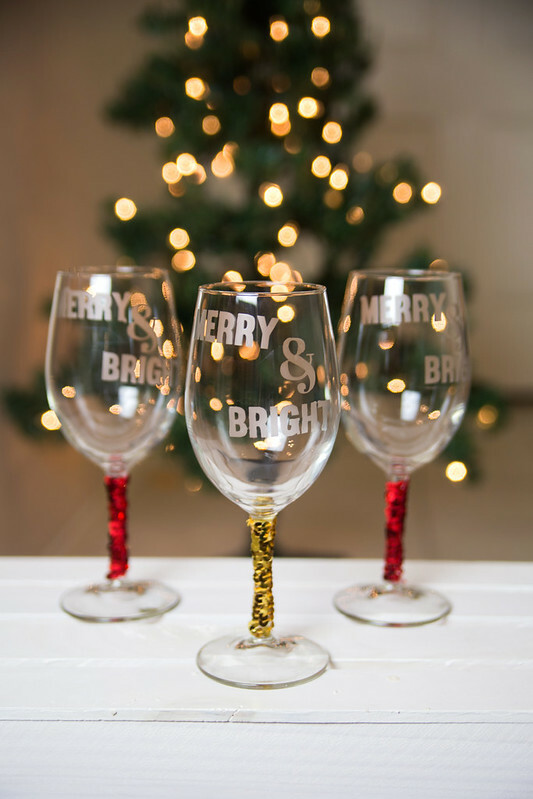 These are cute glasses. I love the etching. 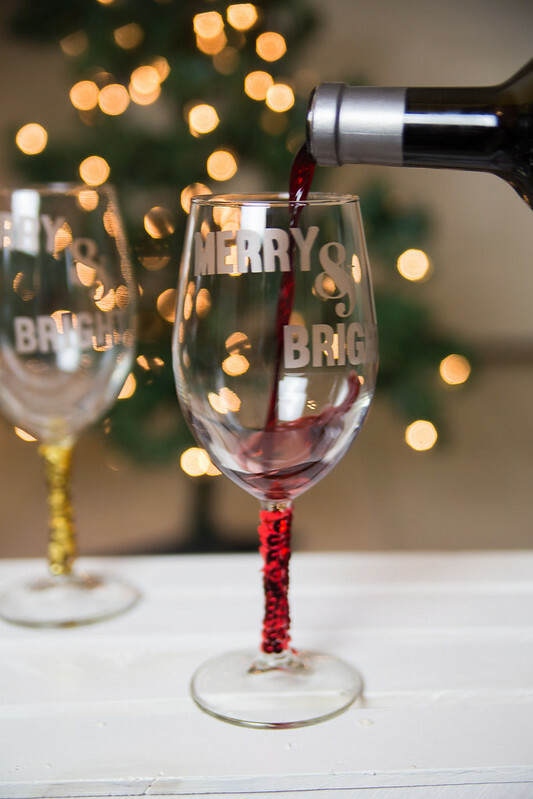 These are adorable and such a perfect holiday gift to give to the wine lover in your life.